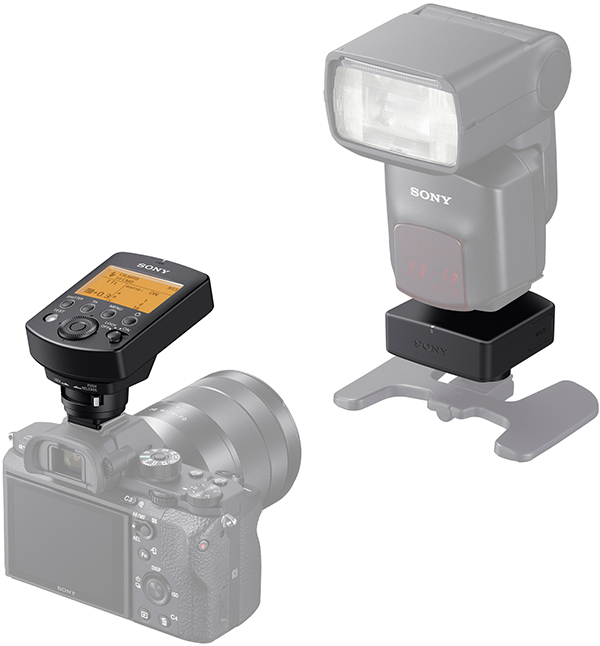 At the WPPI trade fair in Las Vegas, Sony has announced plans to release a “wireless lighting control system to meet the growing demands of professional Sony photographers”. This will be a radio triggering system comprising the FA-WRC1M wireless radio commander and FA-WRR1 wireless radio receiver. Unlike Nikon and Canon, it looks like Sony actually cares about backwards compatibility with its older flashes, rather than forcing you to buy expensive new flashguns with built-in radio. The trigger-and-receiver approach will compete directly with the likes of the Phottix Odin II for Sony. Sony’s radio triggering system will have a maximum range of 30 metres (98 feet) and “will allow for an extremely flexible wireless flash shooting experience with exceptional performance in all types of shooting conditions”, the company said in a press release. You will be able to control up to 15 flashes at once, in five groups. The commander will let you remotely adjust your off-camera flashes “manually or automatically” (i.e. in manual mode or TTL). The maximum native sync speed will be 1/250 second, with high-speed sync (HSS) for faster shutter speeds. A prototype of the system is going on show at WPPI 2016 and Sony estimates availability “this summer” in North American markets. Prices and detailed specifications have yet to be announced. What do you think of this news? Have you been waiting for a wireless TTL triggering system for Sony? Share your thoughts in the comments below.